FOUR! 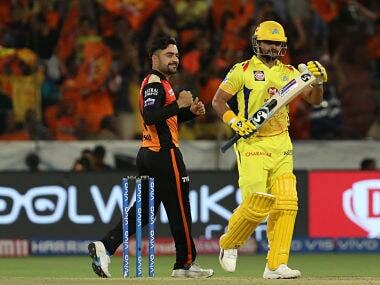 Bravo swings one to square leg and leads CSK to six-wicket win over DC. Second win for CSK in two matches. WICKET! Jadhav out! Jadhav does all the hard work and falls at the cusp. A wide, short ball from Rabada which Jadhav edges to Pant trying to cut it to point. Kedar Jadhav c Pant b Rabada 27(34). VSK: 146/4. WICKET! Raina out! A quicker one from Mishra fired in as Raina looked to guide it to third man but edges it to Pant. Raina c Pant b Mishra 30(16). CSK: 98/3. WICKET! STUMPING! Pant, Mishra combine to remove Watson. Mishra didn't shy away from flighting the ball but kept it wide as Watson failed to connect and Pant whipped the bails off. Watson st Pant b Mishra 44(26). CSK: 73/2. WICKET! CSK lose Rayudu! Poor batting from Rayudu. There's still a lot of time left in the innings. Ishnat went for a short ball as Rayudu came out of crease to play the pull but the ball hit high on his bat and went to Iyer. Rayudu c Shreyas Iyer b Ishant 5(5). CSK: 21/1. OUT! Dwayne Bravo is in the middle of a dream. That is his third wicket in a space of 6 balls. Slower delivery from Bravo and Dhawan was early in his pull, gets a thick leading edge. Goes high in the air and another catch for Shardul Thakur. FIFTY! Shikhar Dhawan completes his half-century. he has stayed in the middle for a long time now. He needs to see Delhi through today. The senior batsman will need to carry his bat for the Capitals get close to 160. Gets there with a couple to deep midwicket. OUT! One brings two! Soft dismissal this. Bravo breaks into a jig. Colin Ingram is on his bike, Delhi faltering at the wrong time. Ingram simply pushes at a delivery outside off and Raina at short cover says thank you very much. OUT! Pant has found the man at backward square leg, where Shardul Thakur has held on to a fantastic catch. Was a length ball on middle stump from Bravo and Pant saw an opportunity to whip it away to square leg boundary but Thakur at long leg hares across to claim a very good grab. HUGE WICKET FOR CSK! OUT! Tahir gets Iyer with a zooter! Was the quicker one on off stump, Iyer was looking for the turn and trying to play the late cut, but the ball went on with the arm and hit the pads before Shreyas could bring his bat down. Loud shout and given. Iyer knew it as he starts walking. Doesn't even consider reviewing it. OUT! Subtle field changes by Dhoni before the ball has been delivered and a brief stoppage in play as Shaw is been made to wait before Chahar started running in. The batsman was backing away to create room for himself. Chahar follows Shaw and digs one short into the body that rises just over his midriff. Shaw goes for the big pull, but with no real room on offer it was always a difficult shot to execute. Ends up giving a simple catch to Shane Watson at mid wicket. The CSK juggernaut is already on the roll in IPL 2019. Two wins out of two matches. MS Dhoni retained the same side that defeated RCB in the first match and they have once again shown that they remain the team to beat. DC, meanwhile, look like a team which is still looking for the perfect balance. Changes to be expected going forward. But that's all for tonight. We will see you tomorrow for KKR's match against KXIP at 8 PM. Till then, goodbye! Shane Watson, Man of the Match: The pitch here was a little better than Chennai. It was a bit slow, so it was nice to get a few out of the middle. I got a calf injury in the Big Bash, and I'm just trying to bat well. The PSL was a lot of fun, and great to be able to reconnect with the Chennai guys again. Dhoni: It looks ok as of now.The wicket turned more than expected in the first innings. In the second innings there was enough dew so batting was slightly easier. Overall the bowlers did a very good job to restrict them under 150. Our batters like bit of pace. Little unsure about the Chennai wicket. Losing Ngidi at the start was a big blow, because he was the quickest, but other than that we were well-covered in all the areas. . I don't think we will be a very good fielding side and as I captain I have to accept that. You don't want the XI to push too hard and get injured going into the tournament. We might bleed a few runs and make up for that with experience. We haven't done well at the death, so plenty of areas to work on, but still a good victory. A comfortable chase for CSK in the end, never mind the fact that they won it with just 2 balls to spare. One got the feeling Delhi could have made a better game out of it if they had fielded better, and were more proactive with their bowling changes. Shreyas Iyer wasn't reading the game situation well enough. His lack of leadership seemed to have an impact on the fielding unit as well that looked in disarray. CSK will be happy to take the points from this game and sit pretty at the top of the table. 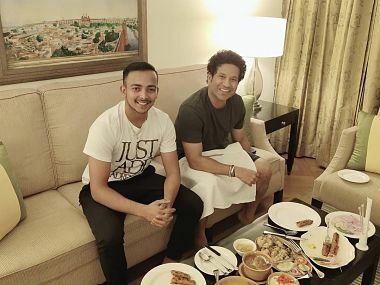 Delhi needs to go back and think about their tactics and leadership both on and off the field. Shreyas Iyer, DC captain: It was tough for a new batsmen to go in and get going. The ball was stopping and spinning. 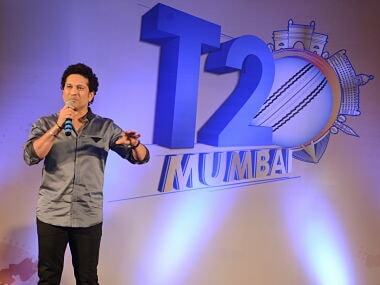 I also faced issues against spinners and our main batsman Pant also found it tough to get going. I knew it was going to be slow, and get slower. That's why we chose to bat first. We were 10-15 runs short. This is CSK’s fifth consecutive win in IPL. The game is over. CSK win. MSD not out on 32 as he is mobbed by two fans at the Feroz Shah Kotla. Dhoni hitting a straight six. There's nothing better than that. Loppy delivery from Mishra and Dhoni smokes it down the ground. High and handsome. Two needed in last over. MSD takes a double first ball this time with a cut to backward point. It should have been just one but over throw allowed for a double. Bunts the next ball to same area for another single. A cover drive for Jadhav for one and then a typical whiplash by Dhoni through covers for a four. A double on last ball. 11 off the over. 11 more needed in last two overs. CSK are in no hurry to close this off. Axar Patel gives only 1 run off the 17th over. The trouble with Delhi is they haven't been able to squeeze the CSK batsman by bowling back to back tight overs. Every time they bowl a good over, they follow it up by bowling loose deliveries in the next over or worse still giving away an overthrow. Dhoni looking to take this match to the final ball? Played five dot balls there from Axar before finally getting one away to long-on for a single. CSK need in 22 in 18 balls. Rabada back into attack and concedes five runs. CSK are just ambling to the target. They need 23 runs more in 24 balls to win. Time for strategic timeout. DC desperately needed this. Jadhav collects a single on first ball with a late cut to third man off Axar. Dhoni adds another single with a bunt to cover. Chennai need 28 runs in 30 balls. Baffling tactics from Iyer. When Raina departed, Rabada should have been brought right back into the attack against the new batsman. 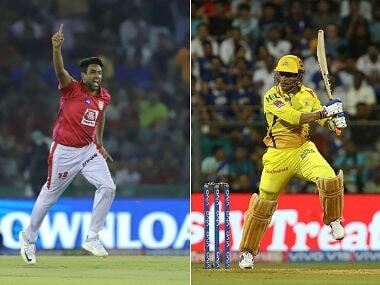 Dhoni is an excellent captain, but the ineptness of his counterparts so far in this IPL has made him appear divine. DC need wickets and they are doing everything wrong here. First an over throw from Axar allows CSK to take an extra single. Jadhav's pull shot is dropped by Dhawan at mid-wicket, however, to be fair it was very high. And then a no ball by Paul and a free-hit, thankfully that only goes for one run. While the crowd goes "Dhoni! Dhoni!" for Ziva its "Daddy Daddy"
Axar returns to attack. Dhoni collects three on first two balls, a double with a jab to cover and then a single with a drive to point. Jadhav takes a single with a flick to fine leg. Chennai need 36 runs in 42 balls. Medium pacer Keemo Paul has been called into attack. Did well against Mumbai and starts off at Kolta by giving away just three runs in his first over. CSK need 40 runs in 48 balls to win. Suresh Raina has perished now after a useful 30. He was consistent with getting starts in last year's IPL also, but never quite kicked on to register that big score. It's something Raina should be looking to improve on this year. Amit Mishra is the only bowler who has looked threatening from Delhi. 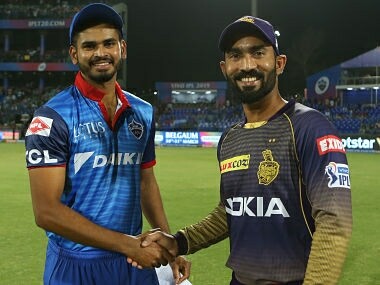 One goes back to the toss where we were surprised why Delhi didn't pick Sandeep Lamichhane, a gun leggie in this format. 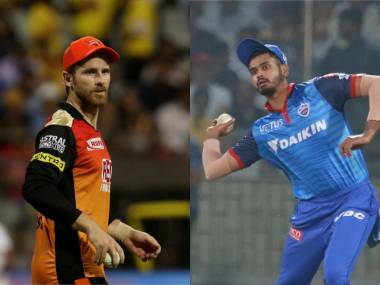 CSK is a good team on its own, RCB earlier and Delhi now getting their selection wrong are making things difficult for themselves. DC are still in it. Mishra gets a wicket for them, dismisses Raina. It was another slider as Raina looked to guide it to third man but edged it to Pant. Dhoni comes out to bat and is welcomed with a Wrong 'un as MSD goes for a cut and edges it just past Iyer at slip for a four. Eight off the over. This was the 22nd time that Raina was dismissed by a leg-spinner in IPL - the most among all the players. The second highest is Robin Uthappa with 20 such dismissals. Tewatia fails to build pressure from the other end. Can't do much against quality batting of CSK. Raina comes down against him to reach to the pitch of the ball to tonk it straight down the ground. Jadhav also gets a four with a late cut with the spin to backward point. There was a top-edge as well off Jadhav but fell safely. 12 off the over. CSK are taking the aggressive route towards that target. Watson has perished in that attempt, but not before depositing Mishra for two big sixes. This start has placed CSK in a comfortable position in this chase. They are well ahead of the required run rate, and if the spinners start getting some purchase now with a slightly older ball, the batsmen can afford to play a few dot balls. Excellent over from Mishra. DC need wickets but they also need to restrict flow of runs. Just four from this over. A couple of singles each for Raina and Jadhav. DC have gone with spin from both ends. Calls up Tewatia who starts off by leaking 8 runs. Five singles and a short ball to Jadhav which is dispatched to mid-wicket ropes. Expensive start by Mishra but he gets the big wicket of Watson. The leggie finally wins the battle after being hit for two sixes. Watson took a double on first ball with a paddle sweep and then came down against the flighted ball to hammer it down the ground. Mishra followed it up with a short ball as Watson smacked it over mid-wicket. Mishra went again with the flight, kept it wide this time, Watson tried to reach for extra cover whack but missed it as Pant whipped the bails off. Amit Mishra is the only bowler who has got 50-plus wickets at Kotla in T20 cricket. Seven off Rabada's over. Watson has constantly been busy, exchanging words with Ishant and Rabada. The South African didn't seem happy and goes all short on the slow track against Raina as the batsman moves towards off to flick it to fine leg for a four. Powerplay over. CSK have got 58/1. Delhi is losing the plot here by going into this all out attack mode. On a sluggish pitch, they have bowled too full or too short, and the extra pace of Rabada and Ishant is only helping Raina and Watson collect some boundaries. Chahar showed the way earlier in the day by hitting that hard length and allowing the natural variation from the wicket help induce the false shot. Iyer continues with Ishant but he ends up conceding 18 this time including three consecutive fours for Raina. First a flick-pull with some great timing off back of the length delivery through square leg, then a slice over backward point and finally a drive through mid-wicket.